If you’re moving from London to Blackpool you won’t need any reminding just how much there is to do. In fact, it may seem like it’s a never ending process leading up to your removal day. So many people to notify, all the packing to do, deciding which items to take and what to leave behind as well as all the legal stuff and the endless documents to be signed. Then there’s hiring a trustworthy and reliable removal company. How do you go about that? Well, that’s one area of many we can help you with straight away. If you call Moving Service on 020 8746 4402 then you’ll be taking the first step to hiring an excellent removal carrier who are experts in transporting household belongings from London to Blackpool. You’ll find we’re much more than a furniture removal firm. We can help you with the packing and unpacking for instance. We even have a packing and unpacking service which means our team of trained professional packers can pack everything for you in an expert manner which in turn allows you to concentrate on other things like notifying yet more people you’re moving. You can also find out about our storage facilities. Our long-term or short-term storage space units can be such a help, immediately giving you a whole new place to store all those belongings you’re not able to take with you from London to Blackpool. 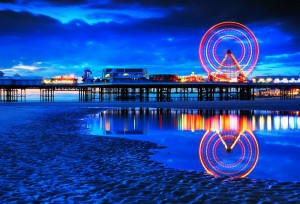 Blackpool itself is one of the top tourist destinations in the UK. Famous for Blackpool Tower, Blackpool Pleasure Beach as well as countless other attractions. It’s a town which is as much a part of British culture as fish and chips. There’s far more to this seaside town however. Blackpool has a number of excellent shopping streets for instance such as Church Street, Victoria Street and Bank Hey Street. It is also now known as a major conference centre. Situated on the north-west coast of England and overlooking the Irish Sea it has a population of approximately 142,000 and has also become a very desirable place to live in recent years. 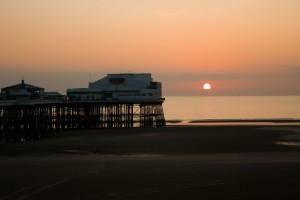 When it comes to choosing removal firms to take you from London to Blackpool, no-one is more experienced than us. We work with you so everything is planned down to the smallest detail ensuring your removal day to Blackpool goes just as planned. So many removal businesses don’t have the same standard of excellence we strive to achieve with every single home removal to Blackpool. Our standard of excellence means we can offer you a vast range of packing accessories which will make your own packing duties a whole lot easier. Our transportation is also the best around with removal trucks customised for your journey which means even if you just want a man with a van, our man with a van is professionally trained and an expert in the business of removals. What makes our removals carrier really stand out from the crowd however are our prices. In these difficult economic times we have made a conscientious decision to keep our prices as cheap as possible whilst not compromising in any way our high levels of customer service or overall quality of service. Which is why when you call us on 020 8746 4402 we give you a free, personalised quote so you can hear for yourself when it comes to price alone, we should be your number one choice. So if you’re looking forward to moving house from London to Blackpool and want a top-quality, trustworthy removal service, hire Moving Service and you certainly won’t look back.